This bolt-in mid plate was designed specifically for our 1962-67 Chevy II frames. Laser-cut from .130"-thick steel, Mid plates include frame mounting brackets and hardware. 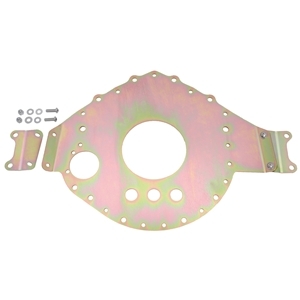 Plates can be used with either Chassisworks' bolt-on frame or factory front ends. This mid plate is for use with Lakewood bell housings.